First of all, welcome to Hearthstone! I saw a bunch of new player posts so I thought I'd share a few general tips in case they help anyone. * (f) make sure to play during any promotional times as there is more free stuff. * (g) This is an excellent guide for completing the frozen throne adventure on a budget. 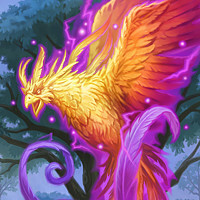 You can get a free pack for each wing you complete (https://www.reddit.com/r/hearthstone/comments/6sydke/im_the_guy_who_did_the_mostly_free_to_playbasic/ The first two wings were doable with some luck and a few tries, but I'll warn you, I found defeating the lich king with a new account was *very* diffucult on a free to play account. 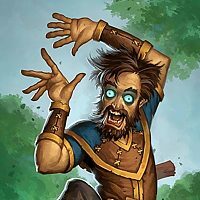 3 .Use Hearthpwn.com (or some other site) and you can set parameters to look for good budget decks or even free decks. 4. Replace cards! When playing with your basic cards to start, go through and replace weak cards with better ones as you open them. Also, there are a handful of cards in the basic decks that can be replaced automatically. For example, in any deck with Bloodfen Raptor, a 3/2 stat line, (except arguably Hunter due to 'beast' synergy) you can replace it with an Acidic Swamp Ooze. This is also a 3/2, but has a powerful effect of destroying your opponent's weapon. If they don't have a weapon, well it's still a 3/2. So look for direct upgrades where possible. Many of, but not all, the basic cards are meant to be replaced as you get better cards. 5. Disenchanting. 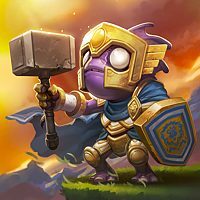 Look for a disenchanting guide that's been posted in the last 3 months. It will help to see what cards are just garbage, and which you'll want to keep in case they may be useful in the future. 6. Card Ratings. If you come across a "card rating" video or guide, be careful! For example, the way Trump rates cards is whether they will fit into any decks in the competitive meta. So he gives dozens of cards 1-2 star ratings. But that doesn't mean they are bad for you! They will often be solid upgrades in your deck as you begin your collection! 8. Gold Cards. Disenchant your gold cards (unless you really like them. Only difference is the 3D art). Each gold card will give enough dust to make any card of the same rarity. So if you're lucky enough to unwrap a golden legendary that you're never likely to use (for example: Mayor Noggenfogger or Millhouse Manastorm), you can dust it and get any legendary you want! 9. Arena: You get a free arena run when you start, and there are sometimes promotions that give a free run. Arena can be daunting. You should look for a beginner guide like this (It's a bit dated but still okay: https://hearthstoneplayers.com/beginners-arena-guide-choosing-a-class-and-drafting-a-deck/) Arena plays the same as "constructed" but since you're drafting a deck, you won't usually get the synergies and combos that you can achieve in constructed. Some cards that are great in constructed are terrible in arena, and vice-versa. 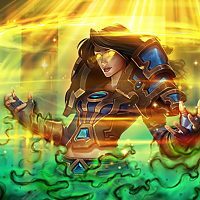 There are two great sites to help you assess the value of cards in arena (http://thelightforge.com/TierList) and (http://www.heartharena.com/tierlist). The latter also has a tool to assist you in building your deck! 12. Multiple accounts/servers. If you have a lot of time to play, play multiple accounts! You can either create multiple battle.net accounts with different emails, or play with the same account but on EU or Asia servers. You'll start from the beginning on each. This will allow you to play different things on other accounts, and even disenchant things to make better decks that you wouldn't normally disenchant on your main account. Also you'll get a death knight on each account. 13. Brawl. Try to focus on playing a class to level 20. This will unlock Brawl. Every week there are new rules. Sometimes (~half) you will need to craft a deck with your cards, sometimes they give you a deck. You only need to win once to get a free Classic pack (one per week, and no bonus for winning more, though it can be fun and you can complete quests). 14. Try not to get frustrated. The early going can be really rough as some people may have years worth of cards and the best decks that you will just not be able to compete against. Unfortunately, there is no "Beginner Mode", but when you start playing casual mode it will start you out playing against new accounts. (not sure how long this lasts). Eventually, you may want to actually go play "Ranked". Since you'll start at such a low rank, you will often be matched up against beginners. Also, ranked mode is often much harder in the first few weeks of each month as the best players start ranking up again. You might think "what's this guy doing at rank 25!". Keep in mind sometimes it will be returning players that are skilled with strong decks, but have to start at the low ranks because they didn't play much constructed in the previous month. 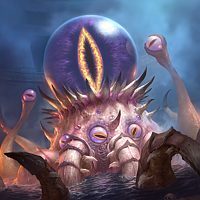 I wouldn't even put "arguable" beside C'Thun. It makes all of your decks better immediately, which will speed wins against the innkeeper and increase win percentages in casual or ranked. If there were only a week left until rotation I would STILL recommend getting a Whispers pack with your first 100 gold. I have disputed this piece of advice before, quite recently too. I'm just going to copy/paste my thoughts from then because it's easier. The rest of your advice is spot on. In certain situations it is the absolute opposite of what you should do. If you have an extra card good enough to be nerfed or moved to the hall of fame then you want to hold onto those extras. After a card is nerfed; you get the full crafting cost when you disenchant for a short time. In the case of a golden common or rare this is eight times what you would have dusted it for the day before. After a card is moved to the Hall of Fame; you get the full crafting cost of the two most expensive copies you own and get to keep all your copies (so you have a chance to disenchant them later for their disenchant value). That could be some serious dust you're missing out on there. If I expect a card to move to the hall of fame or get nerfed in the upcoming expansion then I should keep it until then so I get the full dust level AND I keep the card for Wild/Brawls. For example, based on developer notes I fully expect that Ice Block (Epic Mage Secret) will be moved to the hall of fame* in December (and if not, then in April 2018). Definitely agree and a very good point! So with the upcoming expansion, I'd agree to wait and see if anything gets nerfed and/or moved to the Hall of Fame. But lets say January rolls around and we've got a few weeks into the new expansion. You wouldn't advise keeping a golden legendary that you'd never use right? Especially something like Millhouse that (IMO) no one should ever use. You'd be much better of dusting that golden legendary and getting one you could actually play with. *The Hall of Fame is when cards from the Classic set which would normally stay in the Standard rotation forever are moved to the Hall of Fame in order to change the meta, offer fresh deckbuilding, etc. It is also possible they make a comeback in future years! A few small misconceptions here. Nerf: Because the card has been changed, you can disenchant as many copies of it as you own for it's usual crafting cost. Hall of Fame: The card is moved to Wild and you get the crafting cost of the two most expensive copies that you own without needing to disenchant them. 2. 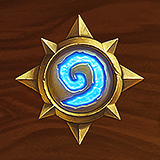 So far, Hall of Fame rotations have only happened at the start of a Hearthstone year (usually in April) and a senior developer has stated that they don't intend to rotate anything at any other time during the year. 3. Yeah, Milhouse may be a pretty safe disenchant, especially a golden copy, but by taking it out of your collection you make it possible for you to open another copy in a pack instead of some other legendary. I would generally suggest holding onto extra copies of cards that you deem powerful enough to be moved or nerfed. I’ve been away from this game for a while (and I’ve never been an advanced player). However, i have most of the classic cards and some of the old gods pack. So, I’d like to know: which pack should I buy with gold? Should i wait the new expansion? I would wait until the next expansion to buy packs with gold. It's only 4 weeks away. But if you really want to spend some now. You should focus on the newer sets as they will be in Standard longer. There is a new way packs work so if you were to start buying and opening the Frozen throne packs, you should buy them one at a time until you get a legendary because you are guaranteed a legendary in the first 10 packs. Then I'd switch to Un'Goro packs and do the same. You may want to do this eventually anyway. I'm not entirely sure, but I believe you need to open all the packs sequentially. So don't open 4 KotFT packs, and then open a classic pack, then switch back as I don't think that will trigger the 10 pack "pity timer"
I'm not entirely sure, but I believe you need to open all the packs sequentially. So don't open 4 KotFT packs, and then open a classic pack, then switch back as I don't think that will trigger the 10 pack "pity timer"
The pity timer is tracked separately for each set, so you can open packs in any order from any set you want. That being said though, probably the most efficient way to get the guaranteed legendaries is to focus on 1 set at a time, buying 1 pack at a time of that set until you get that legendary. As a new player after opening up to 10 packs of each set, you will have at least 8 legendaries: 1 from each of the 5 card sets (Classic, Un'Goro, Frozen, MSG, Old Gods), C'Thun, Marin the Fox, and a legendary DK from the Icecrown Solo Adventure. If you choose to buy the Welcome Bundle, that's another Classic Legendary. Thanks! I didn’t know that!